As summer is coming to an end, it’s a great time to switch up your beauty regimen. Sun, sweat and salt can leave your skin dehydrated, damaged, aged, and dry. 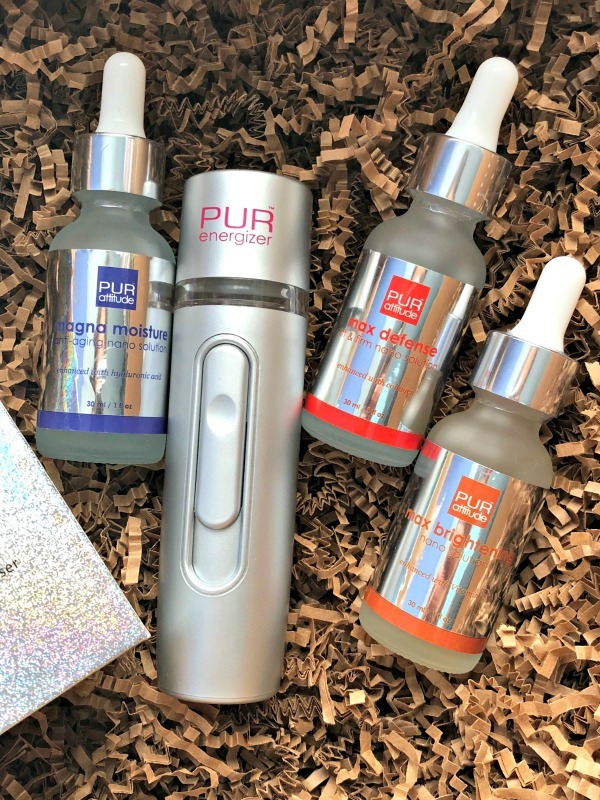 PURattitude’s PURenergizer™ Complete Anti-Aging Kit will bring your skin into the next season making it feel as good as new. 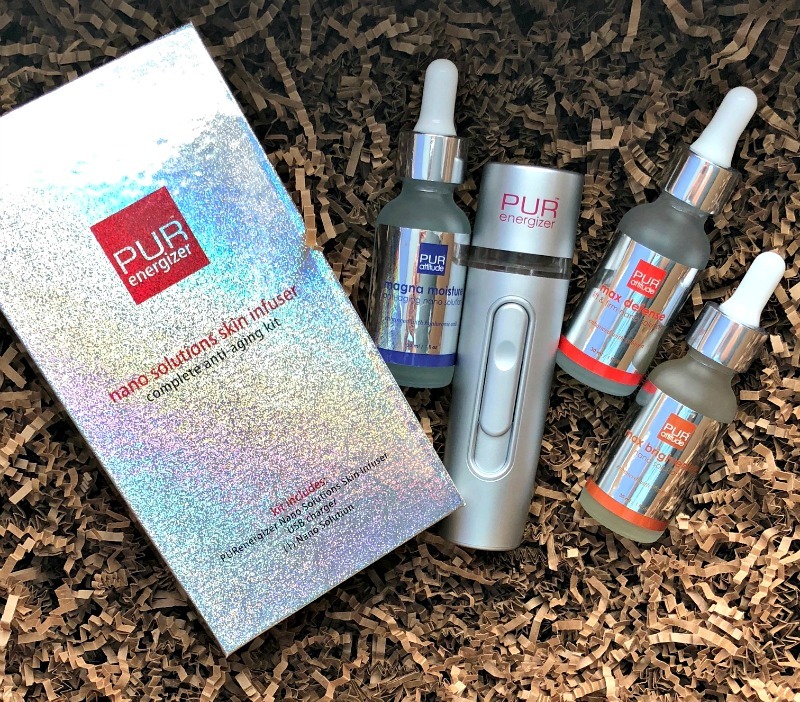 The PURenergizer™ Complete Anti-Aging Kit uses a waterless natural polymer system found in almost every cell of the human body. By linking these natural polymers with phospholipids, ceramides, and sphingolipids, the ultrasonic technology creates liposomes of 7.0 – 10.0 microns, which allows for the improved absorption of key ingredients through the skin’s defense wall. This process plumps the skin and softens the look of wrinkles with technology that is safe and natural. The Nano Solutions Skin Infuser, a handheld device that uses ultrasonic nanotechnology to transform targeted serums into a potent “nano-vapor” that can penetrate more deeply into the skin. This process creates fresh liposomes on the skin at the time of application, which enables improved delivery of key ingredients. Designed for daily use. The serums are intended to be used together to visibly improve skin firmness, elasticity, radiance and overall skin tone. Approximately a six-week supply, when used once daily. MAX Defense Lift & Firm Nano Solution is an age-defying complex that delivers a powerful combination of antioxidants for broad-spectrum defense against oxidative damage. It also provides nutrients to enhance natural skin recovery and minimize the signs of aging. MAX Defense is available in 1 fl. oz. at a retail price of $45. It contains watermelon extract which protects skin DNA against free radicals. While most products protect against just one form of free radical damage, this serum fights both reactive nitrogen species (RNS) and reactive oxygen species (ROS) free radical damage. The probiotics increase skin energy. Moisture Magnet Anti-Aging Nano Solution is formulated to invigorate the skin’s natural barriers to help it retain moisture, increase hydration, and deliver necessary electrolytes. Moisture Magnet is available in 1 fl. oz. at a retail price of $45. Natural polymer acts as a moisture magnet, binding hydration to the skin. Sea Kelp replenishes the skin’s electrolyte balance. Lipids replenish the skin’s natural barrier. Treats dry skin by nearly doubling hydration and delivering essential electrolytes. Leaves skin feeling cool, refreshed and more radiant. MAX Brightening Nano Solution was created to improve the skin’s overall firmness and lighten dark aging spots. The solution contains an active form of vitamin C that improves collagen synthesis. Max Brightener is available in 1 fl. oz.at a retail price of $45. Significantly lightens age spots, combats hyperpigmentation, evens out skin tone and texture and improves skin elasticity. The PURenergizer™ Complete Anti-Aging Kit is available at a retail price of $80.